Here’s some of the most F.A.Q.’s about the Missions Training Center (M.T.C.). You can also click here for more info. 1) Do I have to be a U.T.C. alumni or a V.E.T.I. graduate to be eligible for the M.T.C.? Not necessarily, we are encouraging those who are but it’s not a requirement. Basically, someone who has a solid relationship with God and senses the call of God for the mission field, along with some ministry / leadership experience can meet the requirements. 2) Do I get a discount on my tuition if I am a U.T.C. alumni or a V.E.T.I. graduate? Yes! We are offering a substantial $500 discount off the original tuition price for U.T.C. & V.E.T.I. graduates. 3) Do I need my pastor’s approval to come into the M.T.C.? Yes, we will not approve admittance of any individuals unless the application has their Pastor’s signed approval. 4) What is the process to come into the M.T.C.? Meet requirements (including Pastor’s approval), submit application, pay tuition (once approved). 5) How long is the training at the M.T.C.? The terms for the M.T.C. training are 6 months or one year. 6) Does the M.T.C. accept singles or married couples? Both! We can accommodate singles (men and women) and married couples (maximum of 2 kids). 7) How much is the tuition for the M.T.C.? 8) What are the requirements to be accepted into the M.T.C.? 9) Will I get V.E.T.I. units when I’m in the M.T.C.? Yes, there are 6 Specialized V.E.T.I. classes (18 units) included for each 6 months of training; other V.E.T.I. classes will be offered at a discounted rate. 10) Do I have to have a passport before I go into the M.T.C.? Not necessarily. It would be a benefit if you did already possess one, but you can also apply for one, while you are in the M.T.C. 11) What is the commitment timeframe on the mission field after finishing my training at the M.T.C.? We encourage M.T.C. interns to give at least a 2 year commitment on the mission field, after their M.T.C. training. 12) What will happen after I finish my commitment on the mission field? Renewing your commitment on the mission field and continue. Relocate or transfer to another location on the mission field. Transition back to your home church. 13) Do I have to go to another country or can I be launched out to a location within the United States? There are many places that missionaries can be launched into within the United States or into another country. This can be discussed and directed under the guidance of our Victory Outreach International leadership. 14) What are some of the countries that I could go to as a missionary? Some of the places that we are concentrating on sending missionaries to, although, there are new countries opening up every day that need our ministry. South Africa, Panama, England, Philippines, and the Netherlands. 15) Will there be other M.T.C.’s opening up in other parts of the world? Yes! We have a vision to expand and establish M.T.C.’s in South Africa, Panama, and the Netherlands, in the near future. 16) What are some of the key things that I will receive in the M.T.C.? 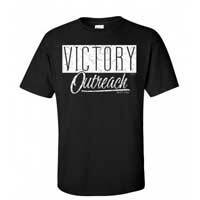 Personal coaching and training from Victory Outreach International leadership. Exposure and training from experienced missionaries. Specialized V.E.T.I. classes for the mission field. Hands-on pioneering experiences in churches and Victory Centers. Exposure to large Multi-Regional churches and leadership. Various learning tracks for personal development. Church planting strategies, missionary acculturation and global evangelism concepts. 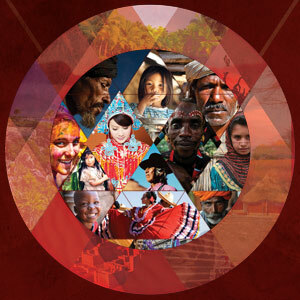 Missions and Global Evangelistic research. 17) Will I get my Minister’s License or become a Pastor, if I complete the M.T.C. training? It can be an option and accomplished, if certain criteria and requirements from the Ministerial Licensing Department of Victory Outreach International are met. 18) What are the contact details for the M.T.C. ?